The marine sewage treatment plant belongs to the key device for prevention of pollution form ships on seas and oceans, according to the revised Annex IV of the International Convention of the Prevention of Pollution (MARPOL 73/78). This plant is applicable to treat the sewage, which means human body wastes and the wastes from the toilets on vessels and which is also called "black water", to meet the effluent standard of IMO MEPC.159(55), and discharge the effluent overboard. This plant is according to the resolution MEPC.159(55) enacted on 13rd Octomber 2006. The convention (MARPOL73/78) provides that all STPs installed on or ater 1st January 2010 should meet the resolution MEPC.159(55) and MEPC.227(64). The plant also can be used in terrestrial sewage, besides in ship vessel and oil platform. The water quality after treatment can reach the national reuse water quality requirments. It is also applicable to treat the galley, shower drainage which is called "grey water" on condition that the "grey water" is pretreated and there should select a bigger capacity model to match with it. 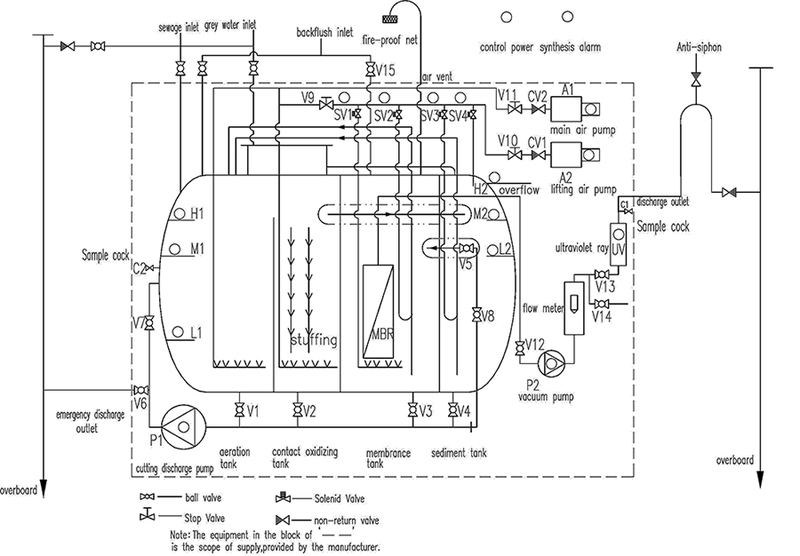 This plant has obtained one item of Authorized Patent and one item of Paratical new patent, meanwhile has been obtained the Type Approval of CCS and IMP circular in April 2009, and it in February 2011 by Germanischer Lloyd (GL) type approval certificate MED made, while providing ABS, DNV, BV, RS and other classification societies certificate. (2) The passenger vessel beyond of the Annex IV of the International Convention of the Prevention of Pollution (MARPOL 73/78). 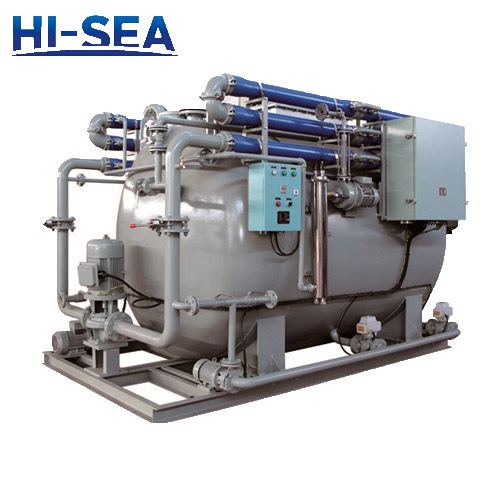 (1) The marine sewage treatment plant also can used to treat the anitary wastewater, seawater or freshwater. (2) The test pressure of the tank is 0.021MPa. (3) The effluent quality of the device is in compliance with the standards of IMO MEPC227 (64), and 33CFR159 for type II device. AC 380V/50Hz/3φ, AC 415V/50Hz/3φ, AC 440, 60Hz/3φ, etc. ABS, BV, DNV, GL, LR, RINA, NK, USCG, and CCS class certificates.